Note: This article is inspired from various search terms that has lead users to my Lingaa Movie Review. If you are looking review on Lingaa movie click here. The facts presented here on Mullai Periyar Dam are based on Wikipedia article. The facts on correlation to Lingaa are purely based on my views and may not be accurate. In the past week I had been noticing the search terms that had been leading users to my blog. The search terms indicate that many of movie enthusiasts are looking to learn the actual story that had inspired Lingaa. Many of them believe that there was a person by name Lingeswaran who had constructed the dam for people during British rule and they are in search of information to learn more about it. 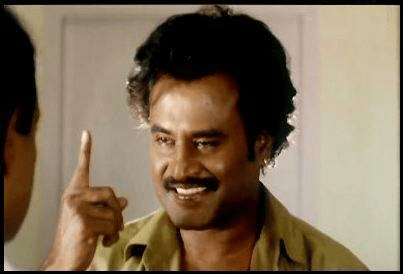 This article is an attempt to provide some facts on which Lingaa story is based on. First of all the story of Lingeswaran is loosely based on a real person who had constructed a Dam amidst of all odds. The dam which he built in real was Mullai Periyar Dam in Idukki district of Kerala. And the person who built was a British engineer John Pennycuick. Yes you are reading it right; the dam was built by a British engineer. 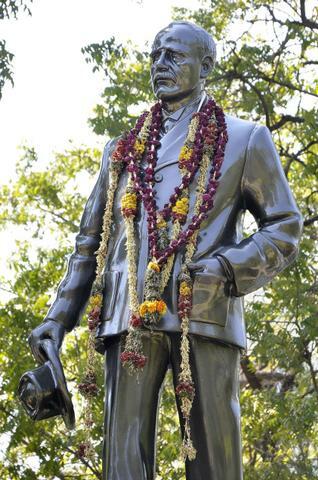 To celebrate his contributions Madurai PWD has a statue for John Pennycuick in their premises. Periyar river was originally flowing westward originating from the Western Ghats and flowing towards Arabian Sea. A large volume of water was getting wasted as it did not flow through many lands. Right from the late 18th century there had been discussion to turn this water eastward towards Madurai to augment the small Vaigai river that would provide enough water to do irrigation. But the efforts were given up as the project was deemed to be infeasible both technically and financially. It was only during 1887 the construction of the Mullai Periyar dam began under the leadership of John Pennyquick. But frequent floods had created many obstacles from the dam being constructed and the British government stopped funding the project stating the in feasibility. John Pennycuick was not ready to give up. He went to Britain sold his wife’s jewelry and family property to raise the money needed for the construction of the dam. The Dam was finally completed in the year 1895 and still keeps the region surrounding it green for many generations. Pennycuick said “I am going to be only once in this earthly world, hence I need to do some good deeds here. This deed should not be prorogue nor ignored since I am not going to be here again”. As you can see Lingaa’s story resembles Pennycuick’s in many ways. In fact the dialogue of Lingeswaran about living in this earth for once so resembles the quote of Pennycuick. Raja Lingeswaran sells all his property to complete the construction of the Dam as did Pennycuick. Both of them had to do this as the British government had stopped funding the project. The difference was Pennycuick was actually a Britisher and there were no drama of a villain in real life. The villain was nature itself then. In the movie Rajini had to fight against some gruesome villains to complete the Dam construction. Solaiyur is a fictional village in the movie and there is no such dam that exists. Lingaa was shot in and around Sagara Taluk in Karnataka. This is the region where Jog falls is located. The dam seen in the movie is the Linganamakki dam which is built across Sharavati River. If you read Indian history you would realize the importance of a Dam in the development of India. Particularly in a country where there are non-perennial rivers and perennial rivers that cause a huge amount of flood there by causing more damage. Dams are great savior for our development and progress not only in the area of agriculture but also power, infrastructure development and many more. At the time of Visveswaraya who had constructed the KRS Dam the civil engineering discipline in India was at its peak and inspired many to take it up. Hats off to the Lingaa team for narrating such a story through cinema.